HomeBlockchainHumans vs Uber: Will Blockchain Help? Humans vs Uber: Will Blockchain Help? Uber managed to gain a remarkable market share in the transport industry by implementing a simple but powerful idea. The company didn’t invest in a technology from scratch, but selected an industry with great demand and built an ecosystem with a broader supply chain. Uber realized that the difference of quality and cost expectation assurance to be competitive depending on the market dynamics. Many believe that Uber’s surge-price algorithm which adjusts fare price according to demand is a brilliant example of supply and demand at work. It could possibly be the literal realization of every economist’s fantasy that is catalyzed by the mobile Internet. However, is “uberizing” possible for every single sector of the modern economy? While the concept seems attractive to many sectors as a promise for developing a more equitable supply-chain, whether “Uberization” will gain ground as a popular development model for startup enterprises remains a question. As blockchain is co-opted into the infrastructure of traditional business the world will see how well the concept of “Uberization” fares. In real-world applications, blockchain might be the only technology which can solve the issue of trust and minimizing excessive middlemen costs. Blockchain platforms provide participants with the agency to self-organize, and communities governed by blockchain will need to prove their value and efficacy beyond the mere theoretical premise that there is no need for middlemen in markets that are decentralized and self-regulated. Currently, many initiatives and projects are trying to grab a slice of the Uberization vertical markets pie. The concept of eliminating the need and cost of a third-party through the use of blockchain technology is very attractive to many corporations and could also help to better protect data against data breaches. Among the key “opponents” of Uberization, is the concept of humanization, a blockchain specific term which can be defined as ‘ensuring the integrity of a supply chain by guaranteeing the integrity and provenance of the transacting community.’ Within this decentralized realm, the conceptual strength and communal belief in ‘humanization’ are essential as everybody is accountable to everyone. While blockchain provides total immutability and security, humanization bolsters each participants’ belief that all interactions also occur within an environment governed by a mutually accepted moral scope. Uberization of services is primarily focused on addressing markets that are geographically hyper-local and a fragmented market composed of many small providers tends to be plagued by quality control issues such as unpredictable customer experiences. Uber’s model attacks this issue simply because of its simplicity. By listing all of the available suppliers, or more specifically 3 million drivers across the globe, customers are able to access a database of verified providers and communicate with each other in a safe environment. Among the highlights of Uber’s tech is the “surge-price” policy – when there is a lack of available cars and the demand for rides is increased, the price is higher than the average. The combination of real-time market dynamics evaluation through the user’s smartphone creates a real case study where the free market wins. The fare calculation process is the sum of the base rate, the rate for the estimated time and distance of the route, and the current demand for rides in the area. Another economic issue attracting companies to the Uberization concept is the slack hurdle in economic relations. In places dealing with a rising unemployment rate, the high demand for flexible and entrepreneurial jobs is driving more people looking for work into “crowdworking”. Uberization increases the monetization of valuable assets like cars and effectively boosts the productivity of their owners. As the concept of Uberization expands to new vertical markets “personal” assets become commercially productive and there is the opportunity for ‘uberized’ companies to reduce their operating costs as the employees’ private assets are used to deliver products and services. A slew of major industries have already adopted Uber’s business model and the question is how long can the trend continue? Airbnb: Airbnb is one of the most successful Uber-like business model startup, which allows property owners to rent their properties through peer-to-peer contracts brokered over Airbnb’s secure platform. The result of Airbnb’s practice has accepted a lot of criticism all around the world. Deliveroo / Zomato / Uber Eats / Wolt: Food and personal items delivery has grown to be a huge business and sophisticated vehicle fleets utilize complex routing algorithms to arrange efficient delivery schedules that ensure every customer receives their product as quickly as possible. Postmates aims to be the ‘Uber’ of goods and their delivery service sends couriers to deliver local goods to customers in under one hour. Doctor Anytime / StyleBee / Uber Healthcare: This Uber-like tool allows people who need health-related service to get a provider to visit them, and take care of their health. The same is extended for beauty service providers, making the appointment process less complicated and efficient. HouseCall / Handy: It is generally proved by experience that finding a good technician or house-related services provider is not such an easy task. Today there are several Uberized startups that are aggregating service providers as an on-demand mobile service and establishing some service standards. First, it is possible that the Uberization of goods and services introduces a new degree of uncertainty about the amount of slack remaining in the economy and the true potential for above-trend growth. For instance, Uber’s model may increase the potential value of private vehicles but may reduce the necessity of car ownership. The above shows a problematic issue regarding the traditional measures of economic slack. Secondly, there are several risks to the human side of the Uber model. There are major questions revolving whether Uber-like startups’ workers in the new age have a sense of commitment. In the process of simplifying labour routines companies must question whether potential employees possess the right skills and training to do the job, or even if they have the appropriate level of judgment and discretion to take the lead from the retiring generation Baby Boomers. Third, another important issue that may arise is related to the safety standards stemming from a workforce that might be less committed than professional taxi drivers. There are already a number of examples of drivers mistreating customers during Uber routes despite the grading practice of the company. Fourth, there are concerns about the economic benefits of employees under an Uber-like working schedule and there are some severe drawbacks that may happen if the model expands rapidly. A recent report from the International Labour Organization calculated that an average American crowd worker earns less than $5 per hour. Lastly, rapid Uberization may lead to unsustainable migration to big cities by workers with hopes of better living conditions and job opportunities. Over the long-term, this could result in unrecoverable changes to climate conditions, health, infrastructure, and social stability. Many competitors have been inspired by Uber and tried adopting their business model over the past couple of years. However, there were a lot of failures among them. Customer Retention – As the only marketing aspect that the company adopted was Groupon deals, the heavy use of sign up promotional codes by the customers led to few monthly purchases. Simultaneously, competitors managed to retain customers and eventually Homejoy failed to corner any portion of the market. Unsustainable Expansion – In its initial phase, the startup raised around $30M and investors expected a rapid growth rate. To please investors, the company quickly expanded its service to around 30-36 cities in 6-months. Since customer retention was low, the expansion turned out to be very costly for the company. Lack of Quality Control –: Homejoy was unable to follow up on the quality of services rendered by independent contractors, thus the customer experience was uneven. This led to many customers uninstalling the app and leaving bad rating. Exec is an on-demand service for providing workers to do any kind of random work. High Demand, Limited Supply – Exec aimed to provide workers for all kinds of jobs but struggled to provide enough works skilled in each particular field. Expensive overhead costs and high demand for workers during holidays and weekends meant errand workers were unavailable during this period. This resulted in employees being sent to serve the customers. Budget issues – Most of the expenses for Exec went to software engineers who were constantly working to improve the quality of the application. The commission they charged was 20% and the costs for customer acquisition, customer service, and recruiting sufficient supply had to be paid from this considerable amount. High Customer Acquisition Cost – Although they were targeting a fashion-conscious audience, they failed to notice that they had to deal with persnickety customers as well. Customers wanted to try the glasses before the purchase, something that increased shipping costs. As a consequence, the company struggled to attract additional capital despite an admirable idea. Fierce Competition – Warby Parker gave tough competition to Rivet and Sway in terms of investments. If Rivet and Sway had been properly funded they could have supported a system allowing customers to trial the product and return it if it wasn’t satisfactory. Alternatively, the company could have gone hyper-efficient in launching online showrooms. Although Uberization brings a lot of benefits to the table, there is still a need for humanization in business. Apart from the first association aroused by the term – acting like a human in business – the term is widely applicable. Airbnb and Uber customers feel as if they are part of a community of peers, and the model between the service provider and the client has changed drastically. Modern clients desire to interact with a service provider in a trusted relationship similar to the type they would have with a friend or a peer. While current companies’ service is personalized, trust and transparency in the concept of humanization are implanted in business relationships. Many companies are trying to transition into the era of humanization by making their policies and operations more “human-oriented” instead of turning their workers into algorithmic “masses”. It’s a very challenging situation considering that many companies have used AI to automate processes that were once handled by humans. Within the concept of Humanization, all the procedures of the company are customer-oriented and tied to each other as interacting parties. Despite the trend being relatively new, with most enthusiasts attempting to approach humanization from a theoretical point of view, its real potential is widely recognized by large companies who view humanization as a game-changing business model. For example, Humans.net – a global game-changer in the freelancing market promises no fee, peer-to-peer marketplace where job seekers can connect with job providers. The company has already run a $10 million initial seed funding round, which lead to participation from more than 200,000 users in four U.S. states. Essentially, Humans aims to solve the majority of problems which are byproducts of the Uberization process. A number of CEOs, researchers, academics and analysts are aware of the dehumanization brought about by technology. The following views attempt to connect the capacity of blockchain with the needs to be addressed by the humanization of businesses. “2017 will be a pivotal year for Blockchain tech. Many of the startups in the space will either begin generating revenue – via providing products the market demands/values – or vaporize due to running out of cash. In other words, 2017 should be the year where there is more implementation of products utilizing Blockchain tech, and less talk about Blockchain tech being the magical pixie dust that can just be sprinkled atop everything. Of course, from a customers viewpoint, this will not be obvious as Blockchain tech should dominantly be invisible – even as its features and functionality improve people’s’/business’ lives. It seems that there has been little attention to the human adoption of Blockchain so far. The humanization of Blockchain technology explains how it can create applications and tools which can impact our daily lives positively. Another example of a company taking measures to integrate humanization to uberized business practice is Humans.net. Unlike Google which searches for information, Humans.net searches for people by enabling them to enhance the way they relate to each other in many ways. Humans.net is a truly decentralized platform, run by the people, for the people. There are no middleman, no fees, and a greater share of the platform’s revenue is redistributed to contributors, unlike transformative services like Uber which keep around 35% of all transactions at the expense of the people that make the service work. As Humans.net CEO Vlad Dobrynin explained, Humans.net gives back to its users, by returning a significant part of its revenue to active users that make the platform possible, unlike large conglomerates such as Facebook that make billions of dollars from selling the data of their users. Some would say that the advent of Uberization was the proletarian response to an unfair supply chain market in endless sectors of the job market. The resulting increase in competition has created new opportunities for workers and improved the quality and variety of services available to customers while also reducing the price. On the other hand, these cost savings were absorbed from the enormous fees of “Uberized markets” which account for nearly 20 percent of the revenue generated by service providers. This producing a cyclical conundrum where providers see their income reduced, while their job is becoming more and more difficult. 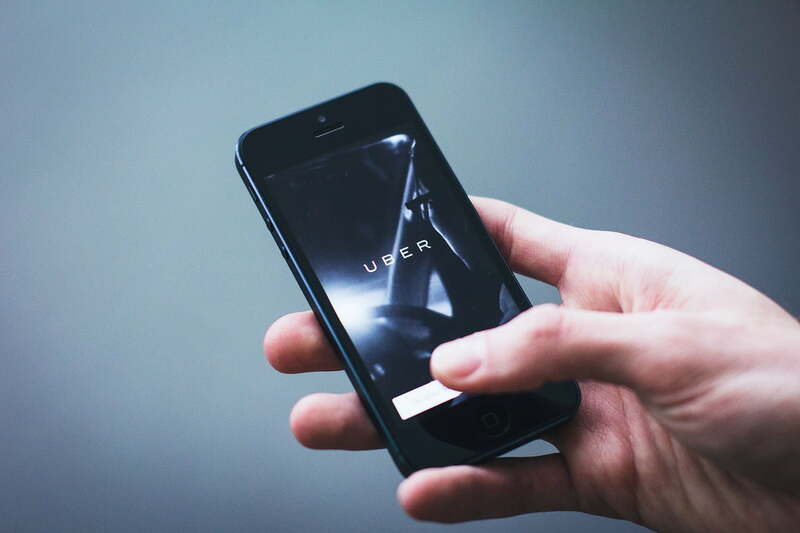 Today the Uberization model is being gradually replaced by the concept of humanization and the integration of blockchain and artificial intelligence could eventually lead to markets that are more decentralized. While the Uberization model remains one of the most profitable business models for large businesses, humanization can enhance the application of this model across a wide array of sectors where social interaction between users is the primary driver of transactions.